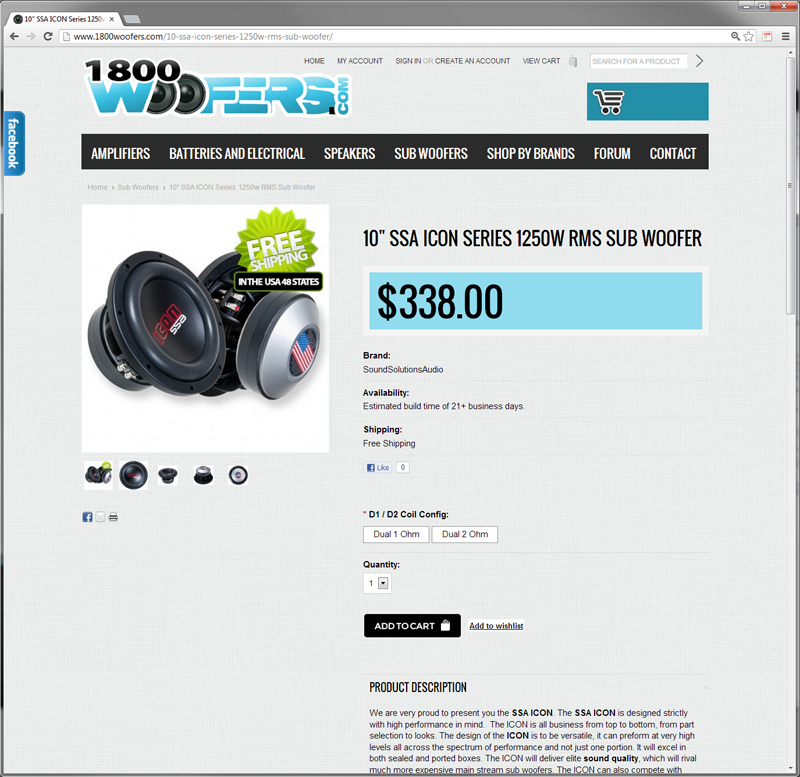 1800woofers.com was a new to the scene car audio store when it was first created a few years back. Now customers and google are starting to take notice of this great looking store. 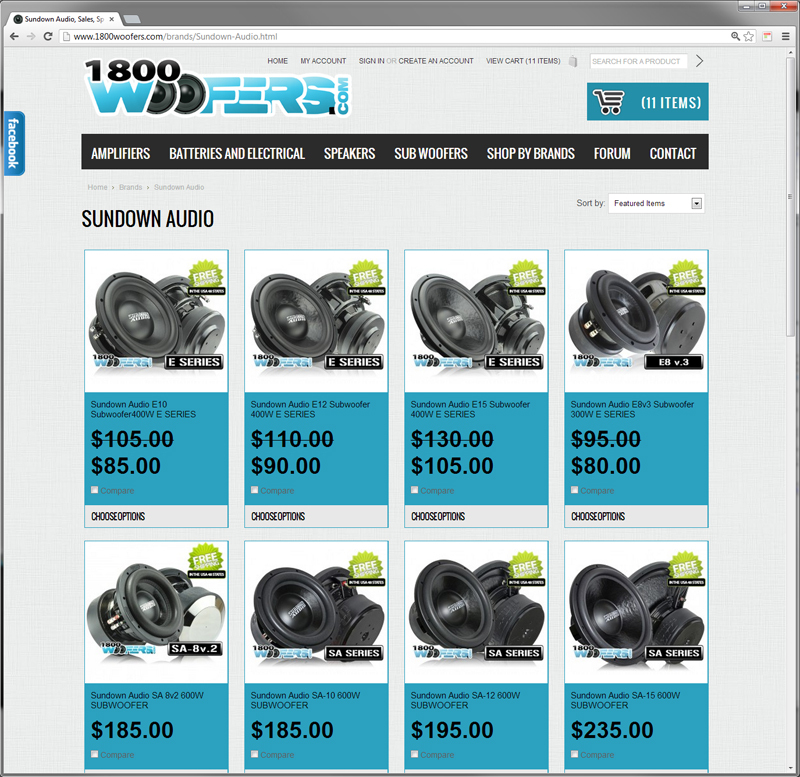 With an all new software upgrade to the BigCommerce platform, this store can now compete with the big dogs like SSA. 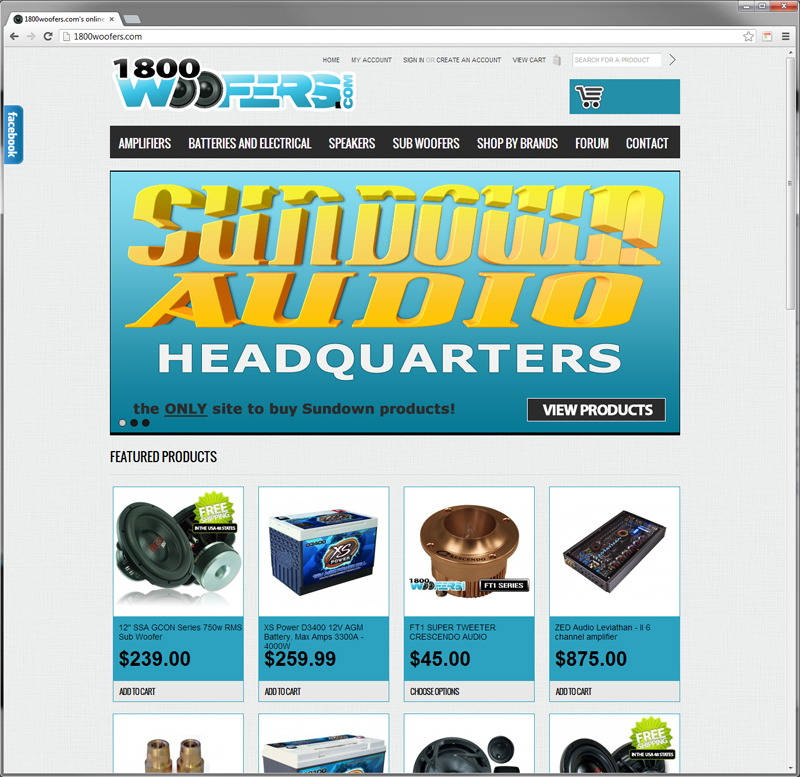 Functionally this store is second to none, easy to browse and easy on the eyes. A winning combination. on Saturday, 16 February 2013. Understanding our client's goals, audience and preferences.